This 5K Walk/Run is a fundraiser to benefit MA Coalition for homelessness. 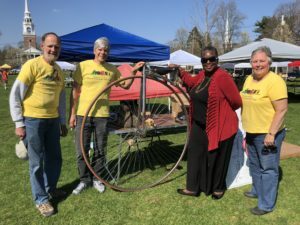 Shimmy Mob 2019 is a fun, community interactive event that is family friendly on the Bruce Freeman Rail Trail starting at Heart Pond or Chelmsford Center for the Arts. It's the largest dance flash mob held worldwide for the past 8 years. Last year it was held at 2 Cambridge parks and it was well received. This is a fundraising walk event to raise awareness of postpartum depression and to raise funds for services for new moms & their families.